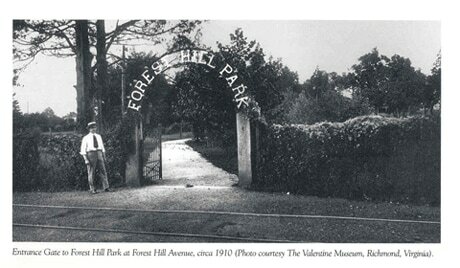 Forest Hill Park was privately owned between 1728 and 1889. The 105 acres which comprise the park were originally the property of William Byrd III. 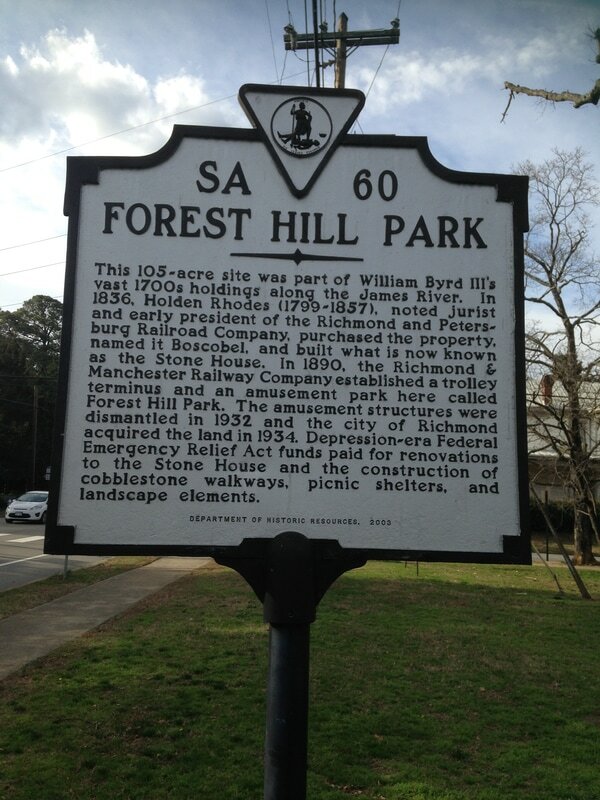 In 1768, Byrd sold 1730 acres of his property, including what is now Forest Hill Park, to Bernard Markham. 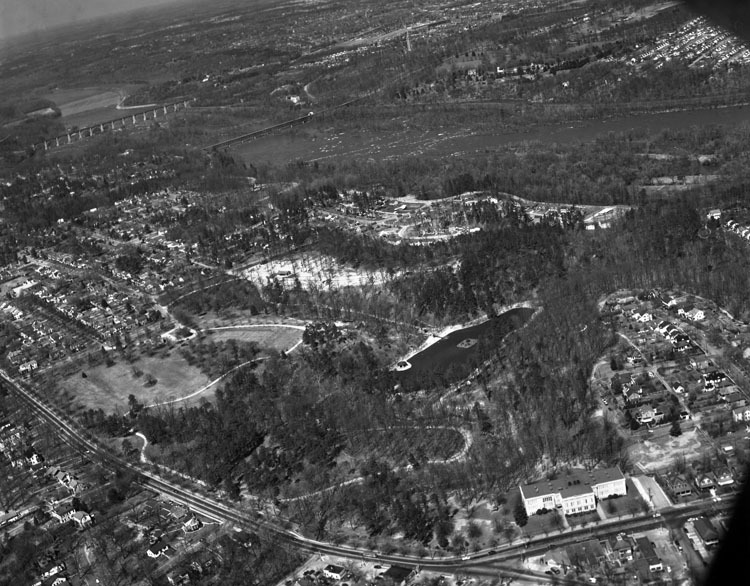 In 1813, the Markham family began selling portions of the property and within 20 years, Holden Rhodes owned all of the land that we know as Forest Hill Park. In 1820, a graduate of the College of Middlebury in Vermont named Holden Rhodes was hired by Judge Samuel Taylor, who owned Fonticello plantation near Manchester, Virginia, to tutor his sons. In 1833 Rhodes married Eliza Anne Cunliffe Heth and purchased 103 acres from John N. Dunstan, Jr. Rhodes would build his country estate on this property. Between 1836 and 1843, his mansion house was built using granite quarried from his property. Today, the house is referred to as “the old stone house.” After Rhodes’ death in 1857, the property was owned consecutively by Charles H. Rhodes, Jr., Richard D. Mitchell, James and Charles Labott, William H Benson who sold it to a group of New York investors and, finally, in 1889 the Southside Land and Improvement Company purchased the property. The following year they sold it to Richmond and Manchester Railway Company. The Richmond and Manchester Railway Company extended electric trolley lines to 41st Street and Forest Hill Avenue. To attract passengers, the street car company built an amusement park in the area of the stone house. There was roller coaster, carousel, a fun house, dance hall, penny arcade, outdoor “moving pictures,” a golf course, bath house, swimming area and a boat lake in the former quarry pond. By 1905, a rock maple floor was placed inside the horse show building for roller skaters. The park also provided the “latest ball bearing skates” for the skaters' use. By 1933, the amusement park was no longer popular, due in part to the restrictions of the Great Depression. 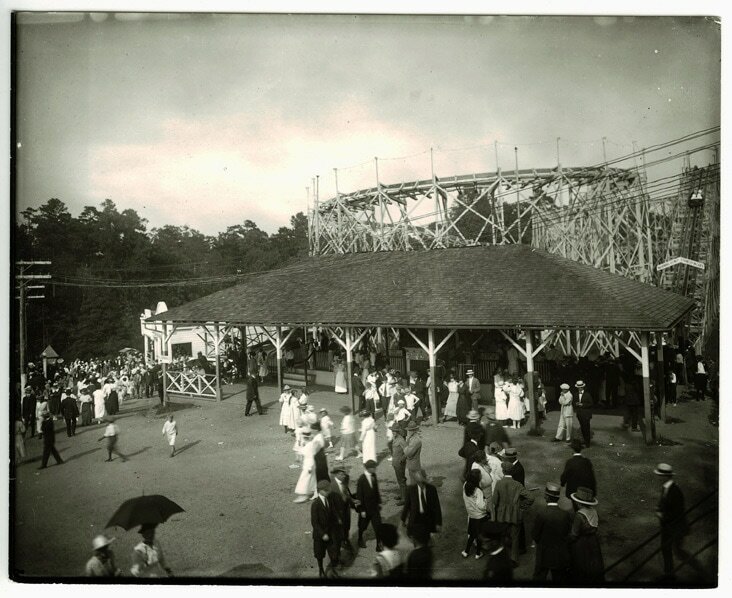 The amusement park was sold to the city of Richmond to be used as an urban park. The wooden amusement structures were torn down and the stone house was renovated and used as a community library and meeting place. The wooded ravine and quarry pond were expanded into a lake. Between 1935 and 1943, craftsmen and stonemasons who were unemployed due to the depression worked for the Works Progress Administration and a number of them were hired to pave the park paths with cobblestones and build stone walls along the paths. They built a stone and slate gazebo and a warming hut for use by skaters during the winter months. A small azalea garden was added to the landscaping. The garden later provided azaleas to the Joseph Bryan Azalea Garden in north Richmond. The work of the craftsmen and stonemasons left Forest Hill Park much as we see it today, a place to play tennis, picnic, fish, bird-watch, hike or bike.